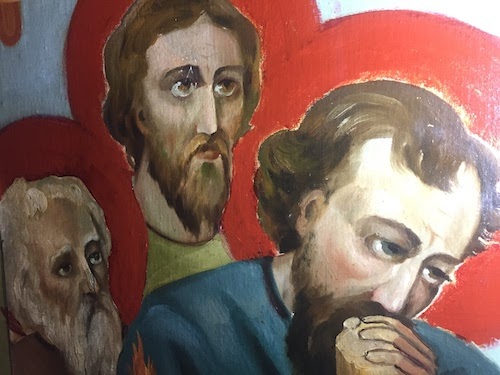 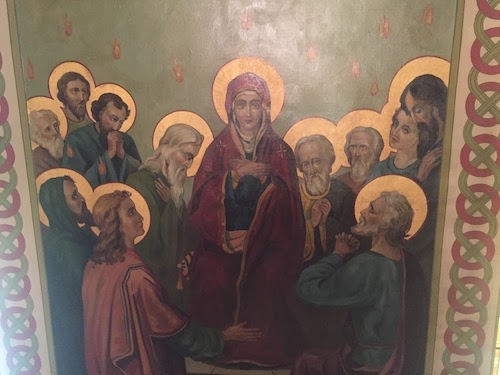 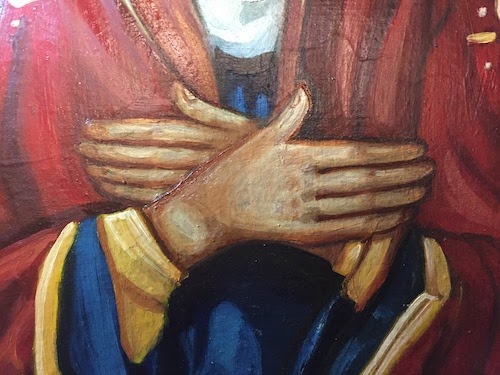 In the Church’s annual liturgical cycle, Pentecost is “the last and great day.” It is the celebration by the Church of the coming of the Holy Spirit as the end - the achievement and fulfillment - of the entire history of salvation. 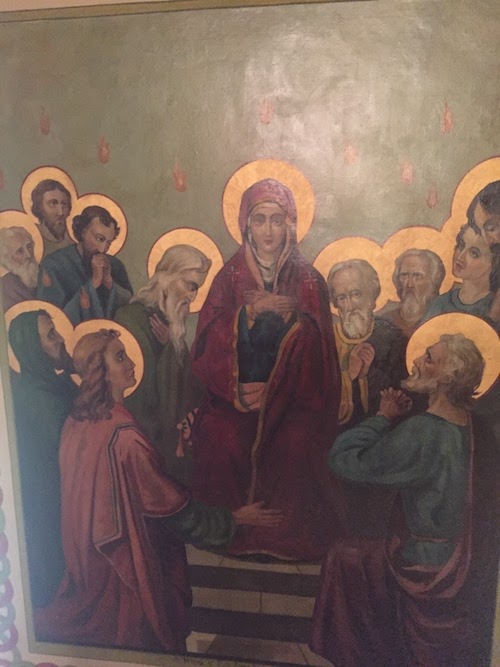 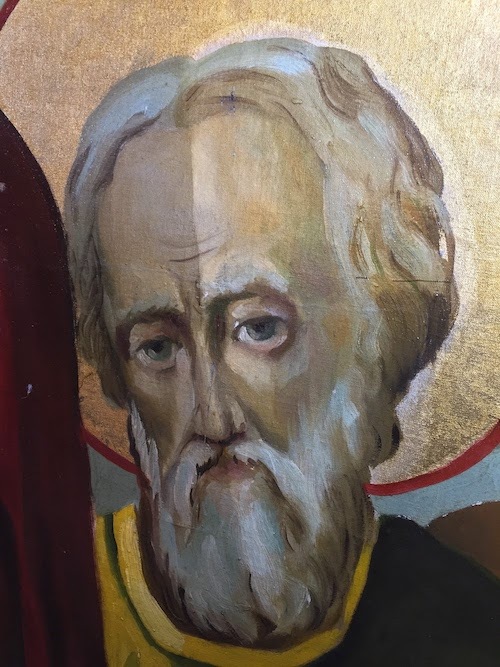 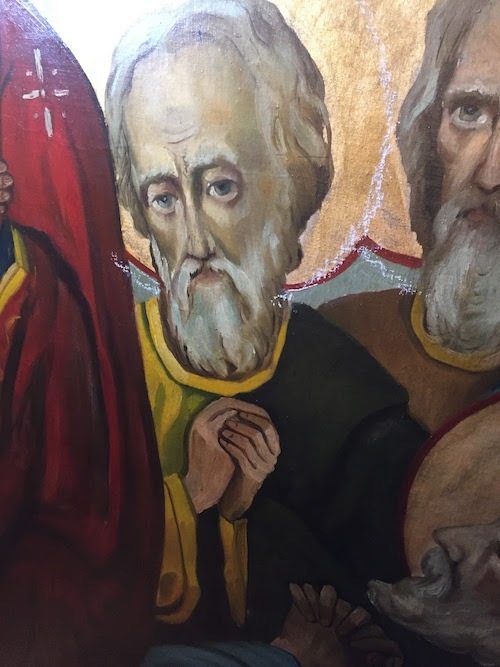 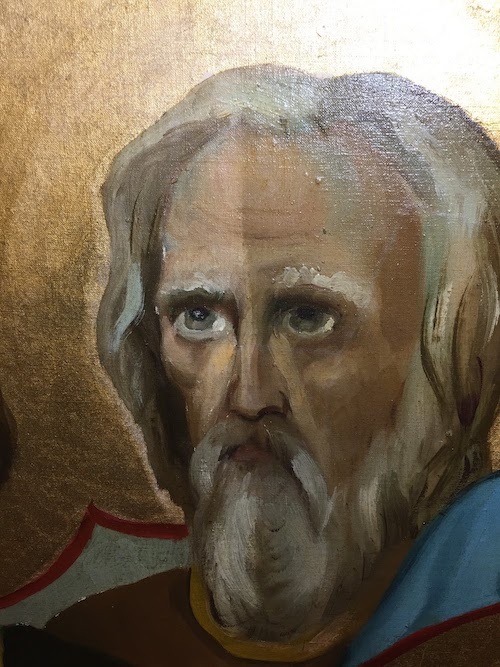 For the same reason, however, it is also the celebration of the beginning: it is the “birthday” of the Church as the presence among us of the Holy Spirit, of the new life in Christ, of grace, knowledge, adoption to God and holiness. 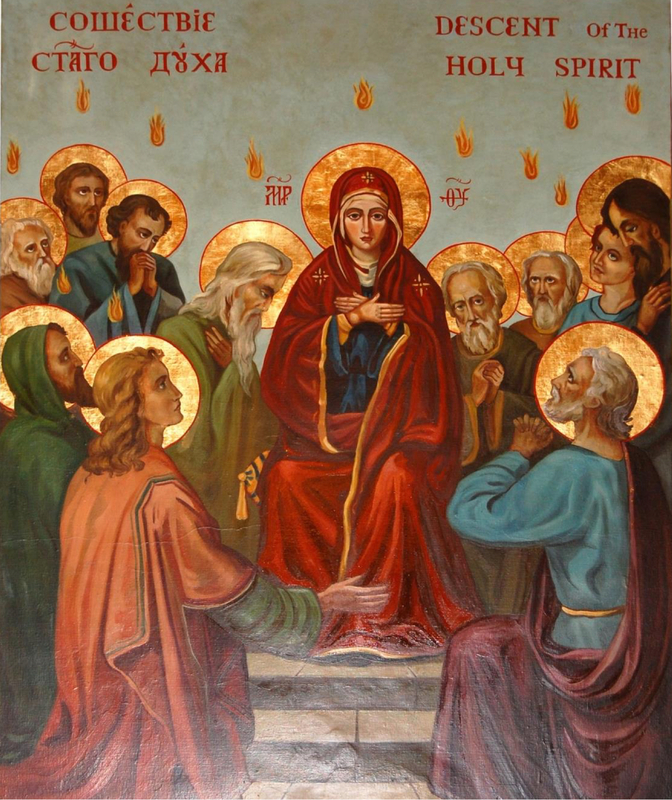 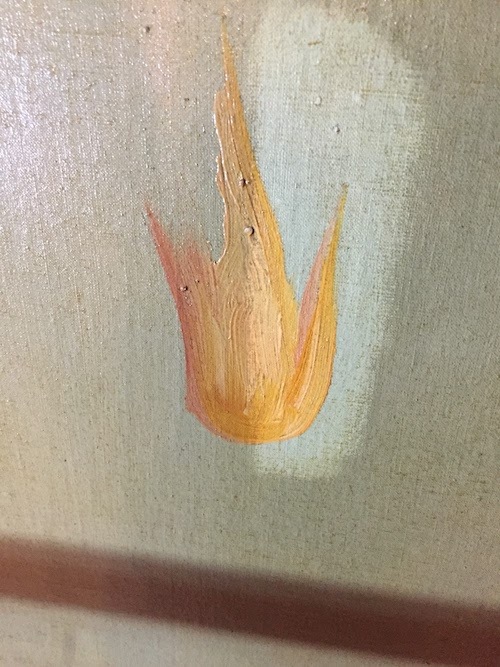 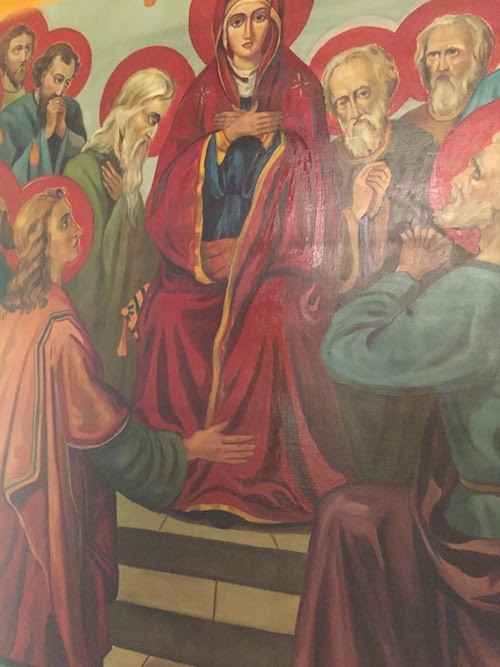 The Pentecost icon depicts the descent of the Holy Spirit onto the Church in the form of fiery tongues (Acts 2: 1-21). 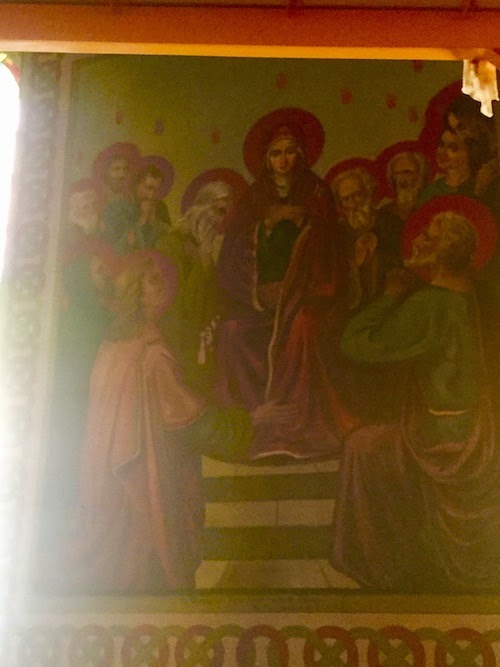 The icon has the Apostles sitting, as on Mount Sion, representing the ﬁrst Church community, the beginning of the Christian Church. 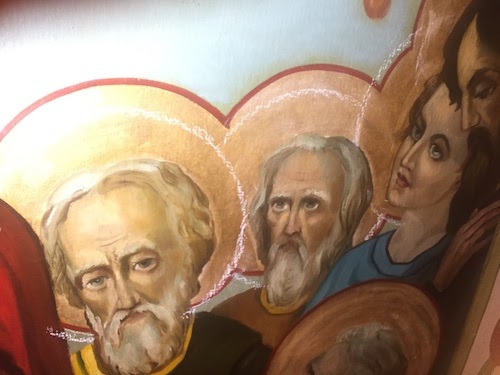 They form a semicircle to express the unity of the Church, the Mystical Body of Christ. 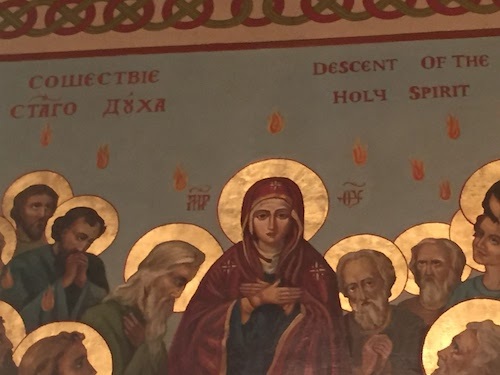 The "tongues of ﬁre" are seen descending upon each one of them signifying the descent of the Holy Spirit. 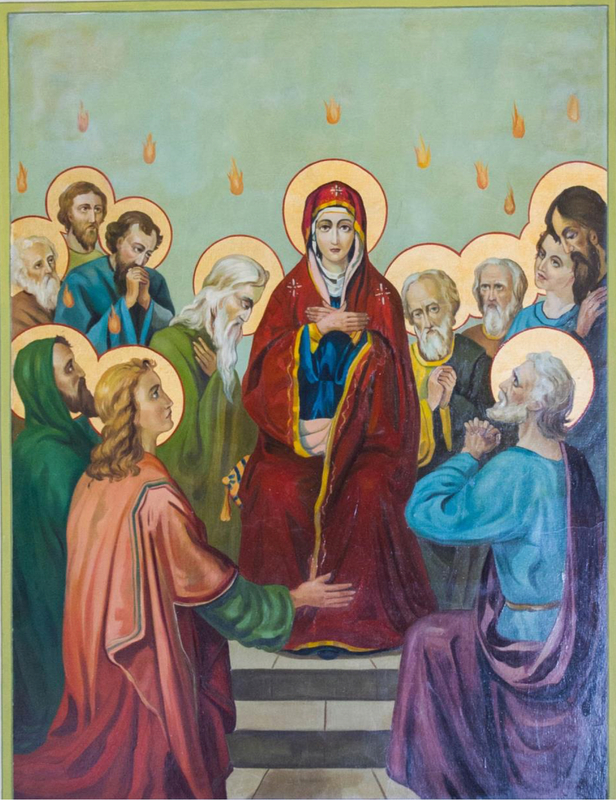 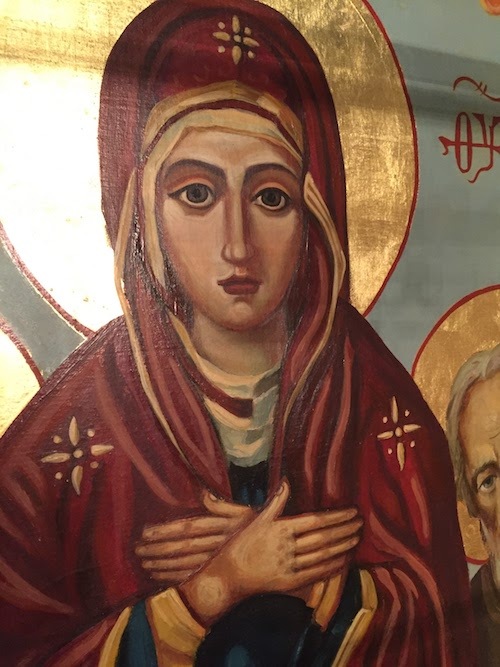 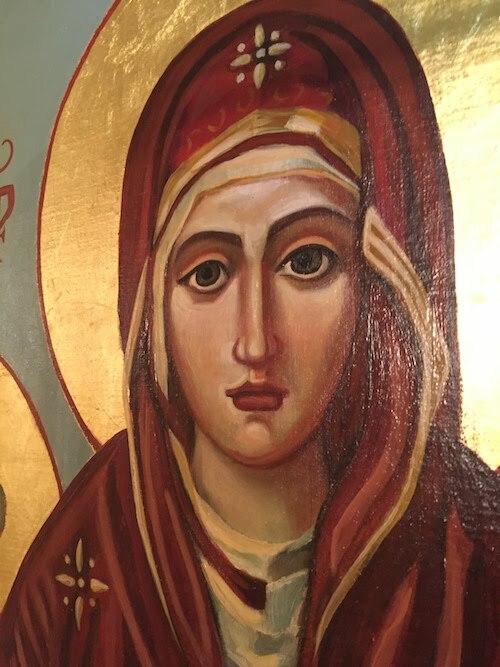 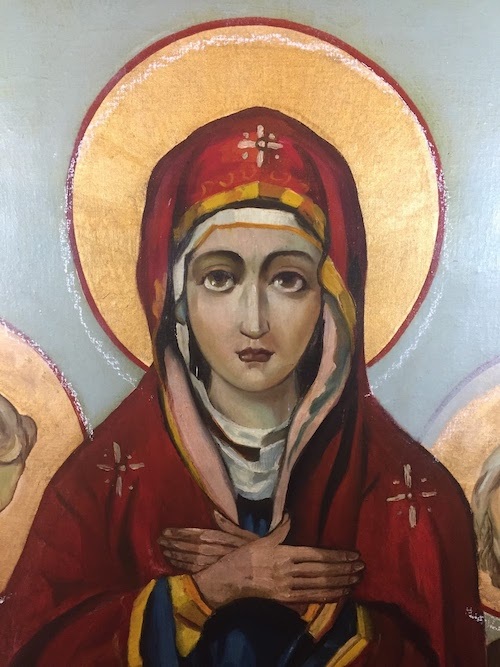 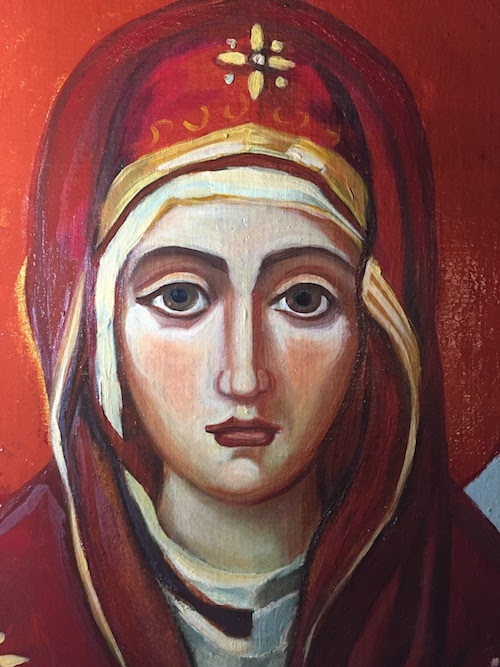 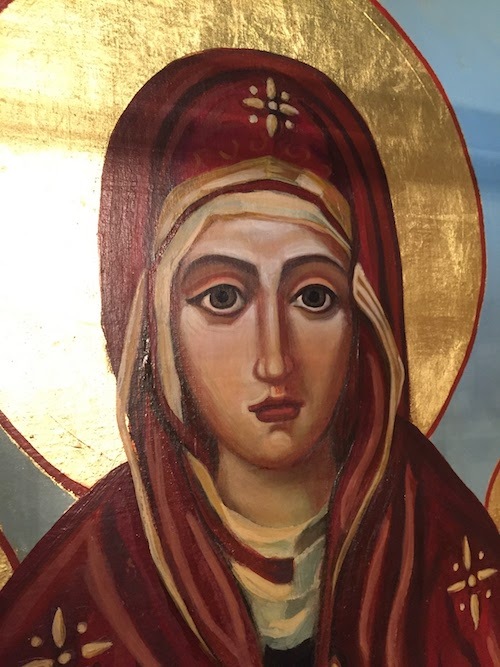 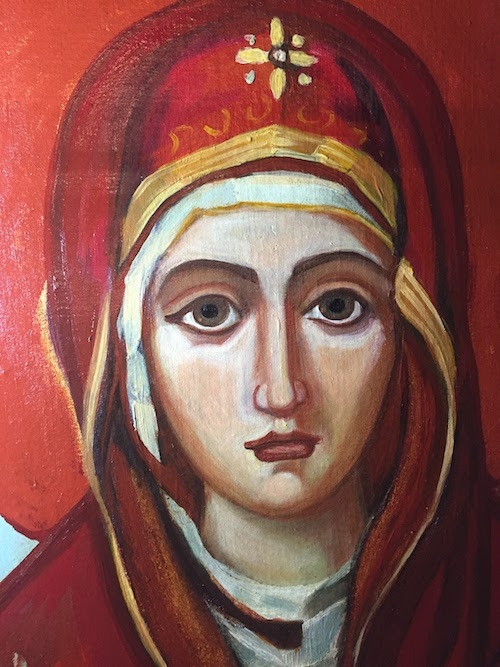 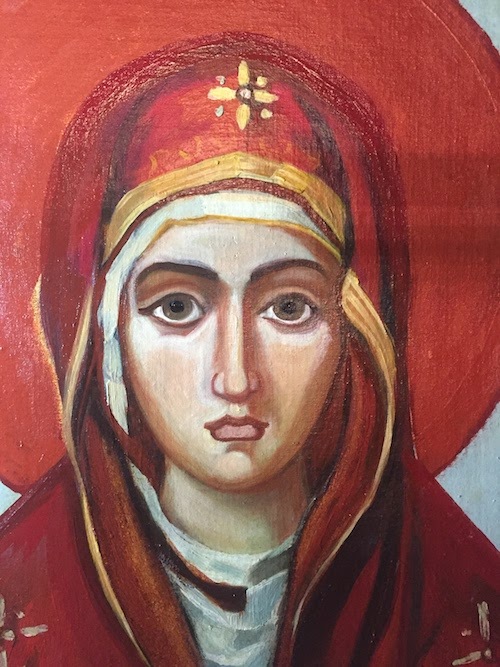 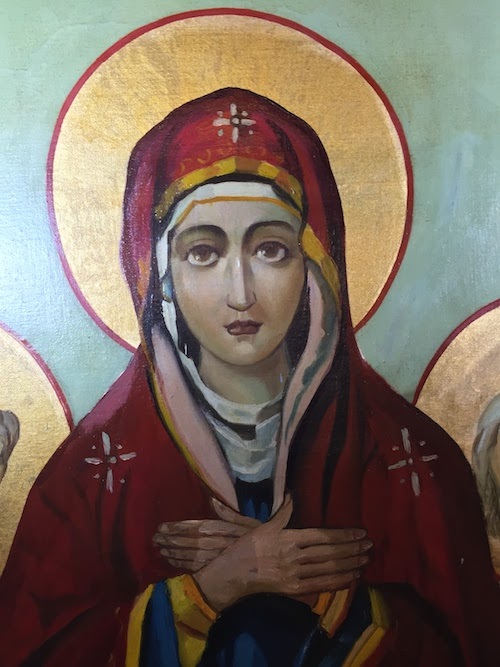 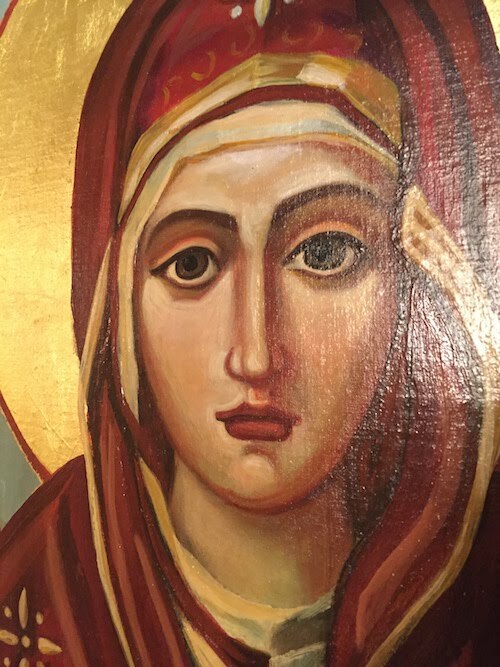 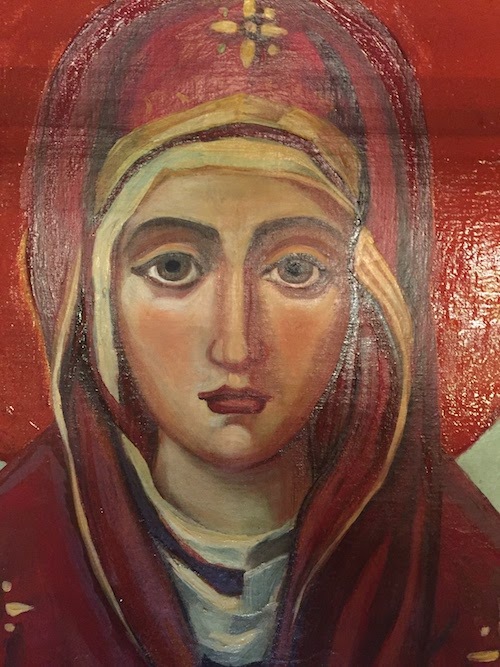 At the center of the group of Apostles is seated Mary, the Theotokos (Mother of God) who also, having received the Holy Spirit, played a crucial role in the formation of the early Church. 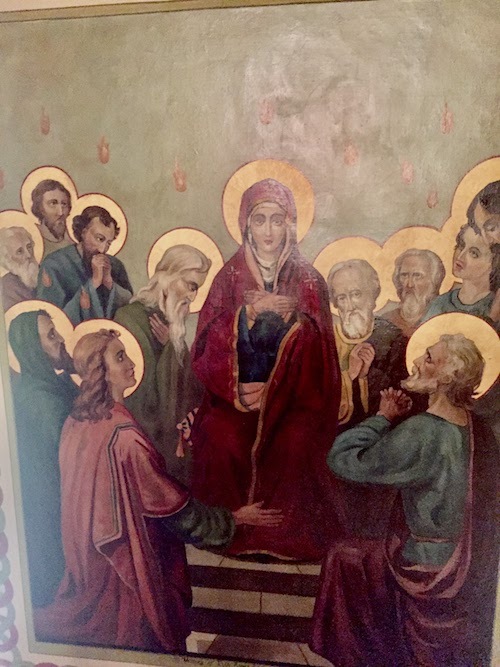 With the descent of the Holy Spirit upon Christ's disciples, the time of salvation, the Divine work of redemption has been completed, the fulness revealed, all gifts bestowed: it belongs to us now to “appropriate” these gifts, to be that which we have become in Christ: participants and citizens of His Kingdom.